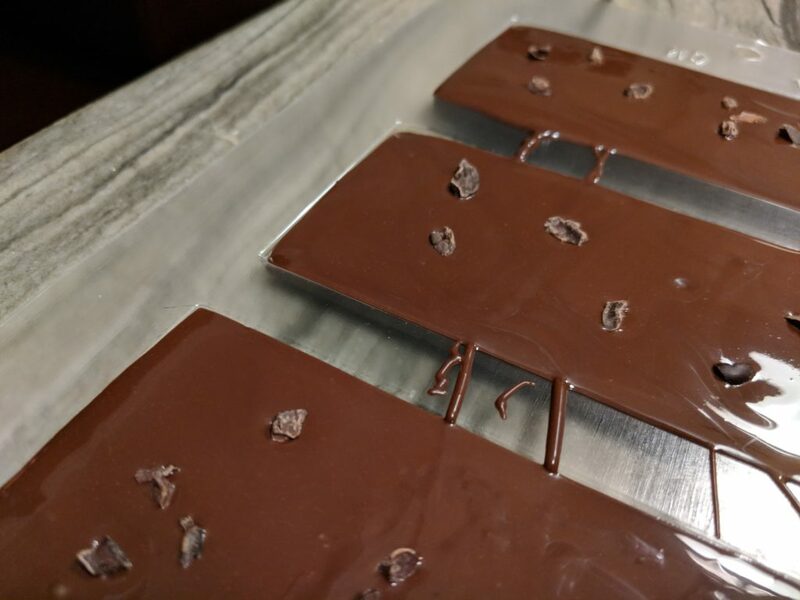 We make bean-to-bar chocolate in our kitchen and I’m often trying out different ideas to improve our process. 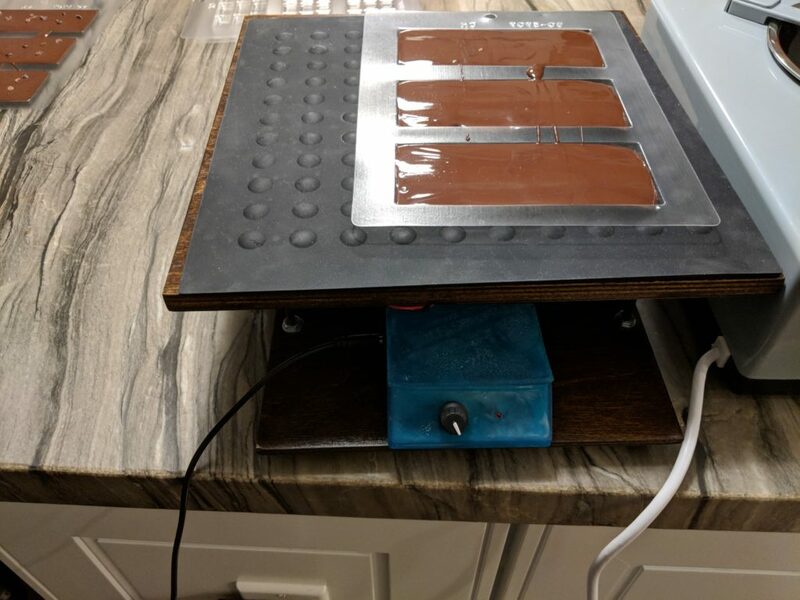 The Chocovibe CV100 is a vibration table for molding tempered chocolate. Tempered chocolate has distinctive shine and appealing texture. 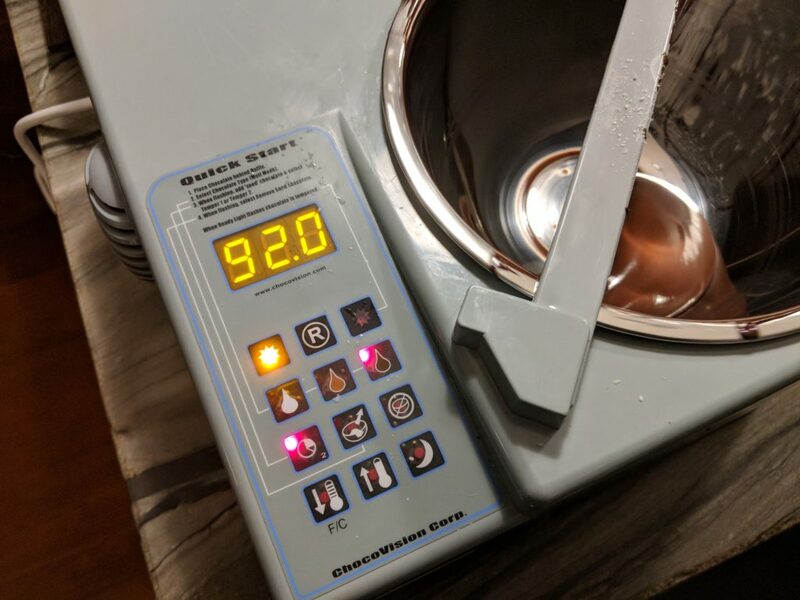 A temper is achieved by heating and cooling the chocolate to precise points where certain crystal structures form and can be maintained. When it’s ready to mold, dark chocolate is just barely warm enough to flow. 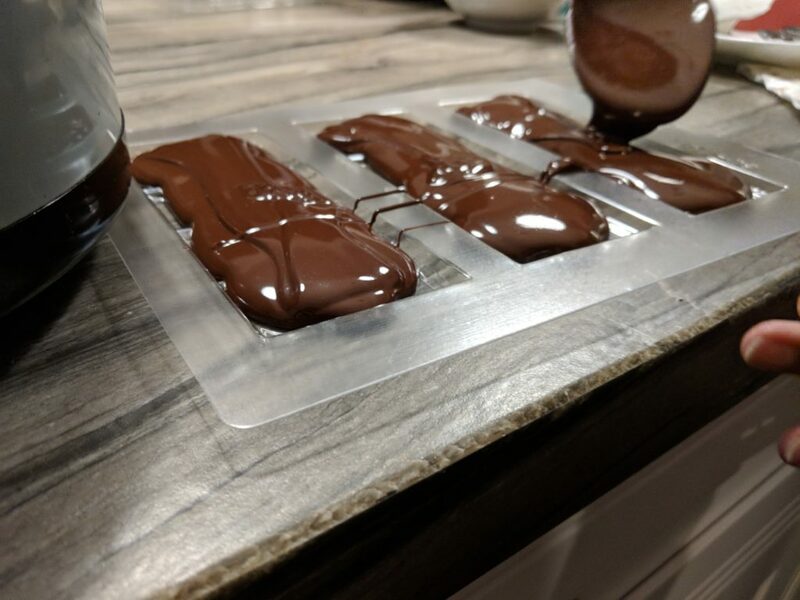 To level chocolate and ensure it fills a mold evenly, we often lift and drop the molds several times. It’s tedious, messy, and doesn’t always work as the chocolate cools. The Chocovibe CV100 is an experimental vibration table cobbled together from scrap plywood, a silicone mat, springs, screws, nuts, a vibration motor, and an ESP8266 microcontroller (yes … it has wifi). It quickly levels the chocolate. The vibration also helps nibs or other toppings sink into the bars. 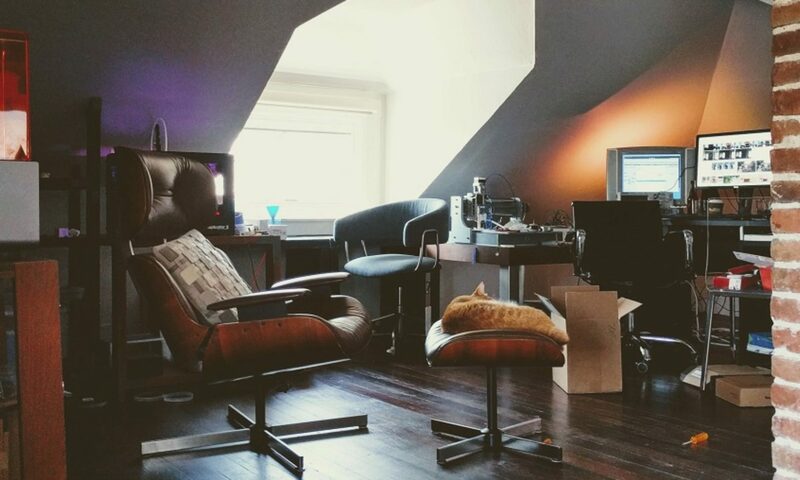 We’ve used it a couple of times so far and it’s a real help to our process. I may find myself building a more kitchen-friendly version of this in the future.